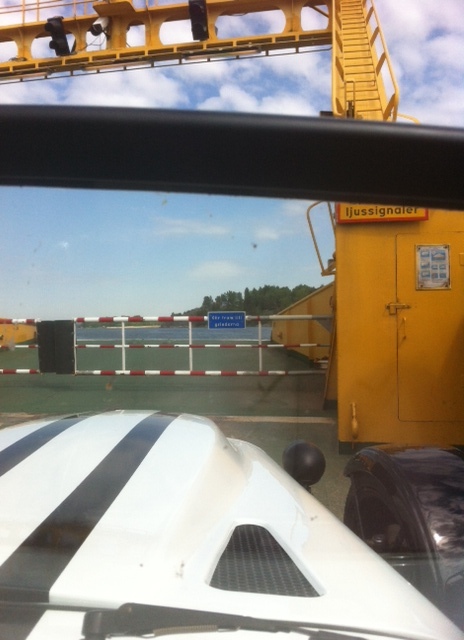 Three hour ride with Westie through rural places you never knew existed and then – a ferry! And no matter all kind of marital stuff that occurs in life, he still is The Love of My Love (quote from Black Adder). I never thought I would think so, but these outings are so fun, much more fun than riding the M1800R. You can smell thing, see things from a different perspective and you can talk to each other. And all that wind makes it almost impossible to think a straight line of thoughts, so it is quite meditative. We went to Rosenhill café toady too and had their fantastic classic Swedish shrimp sandwich – yummy.